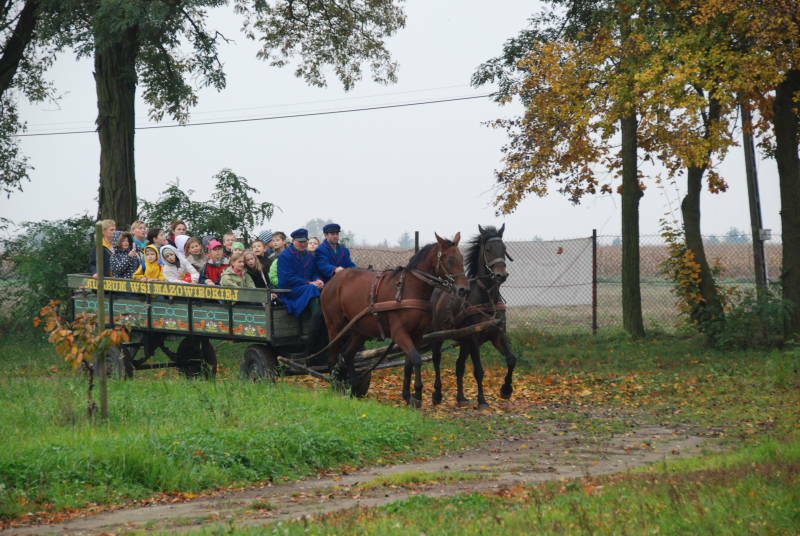 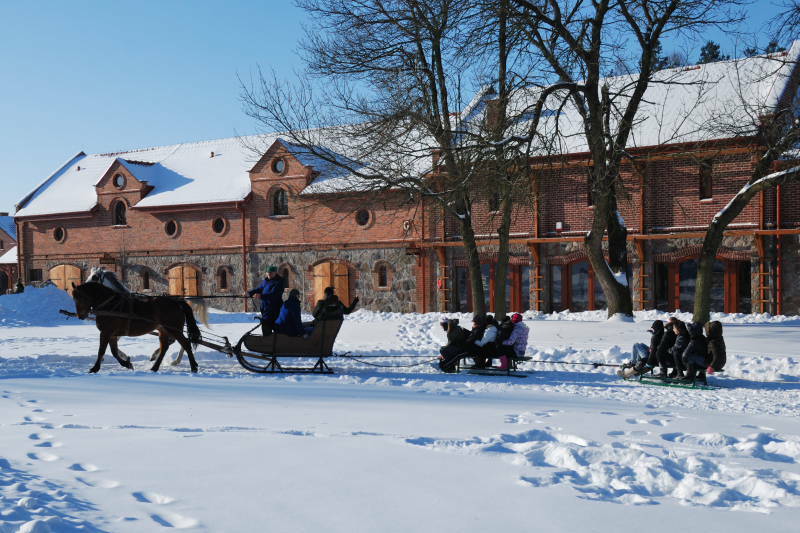 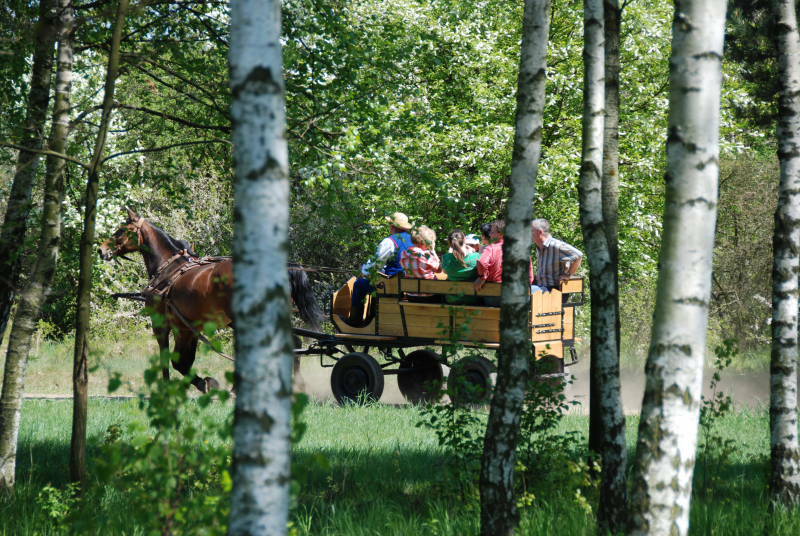 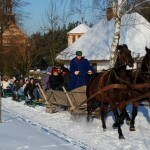 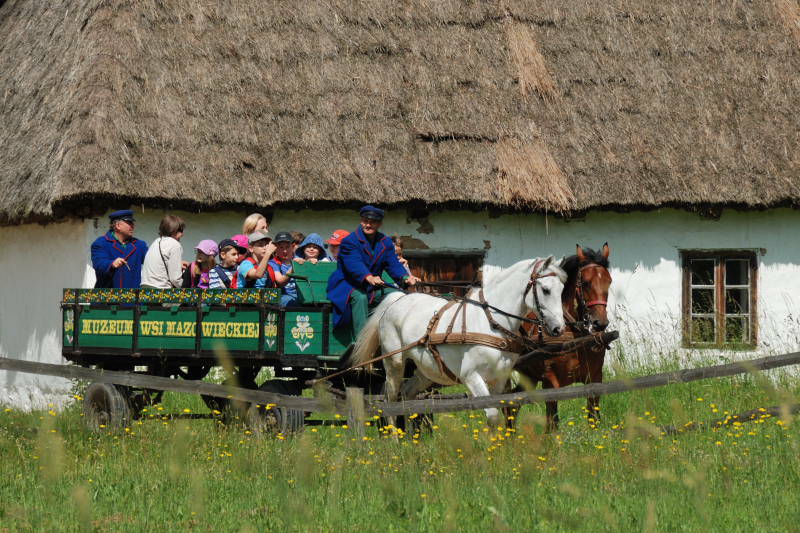 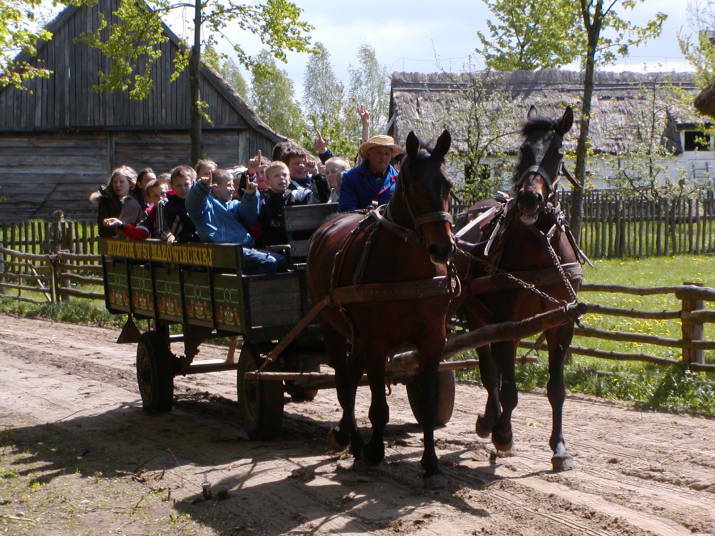 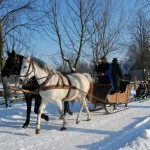 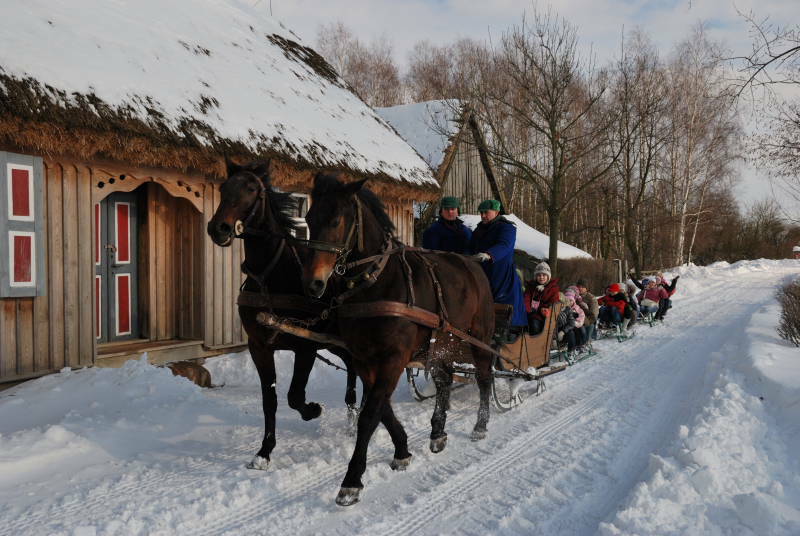 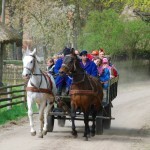 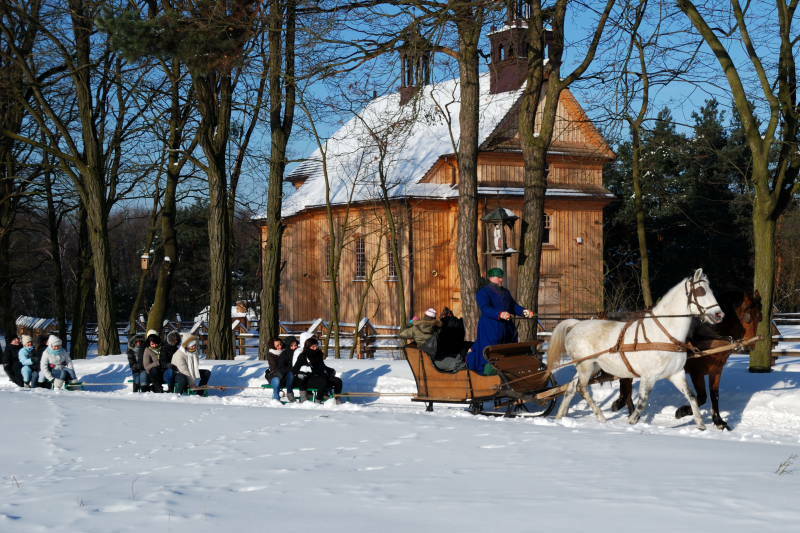 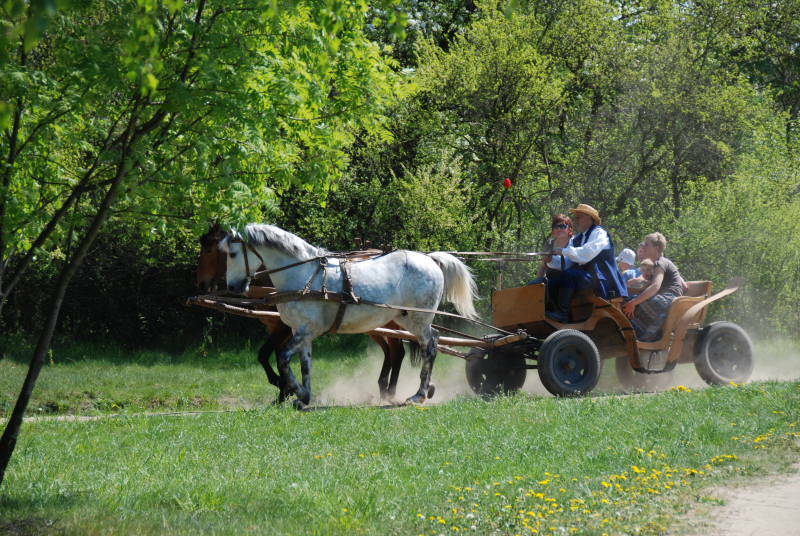 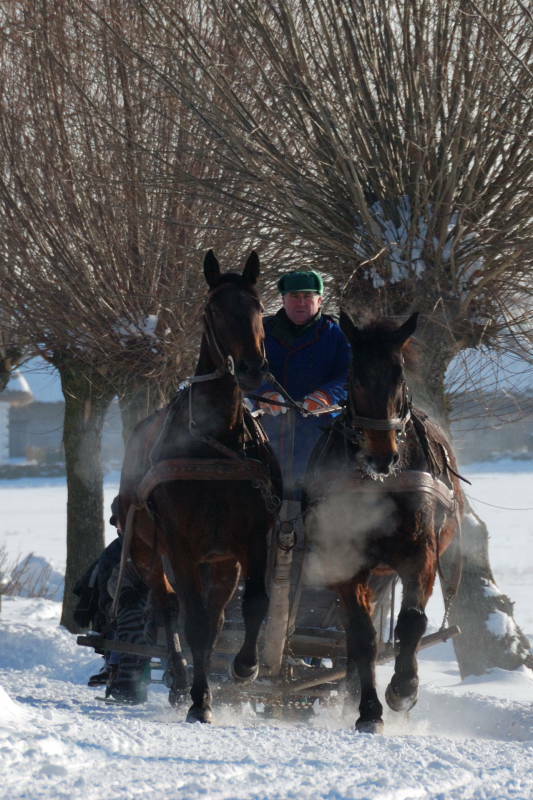 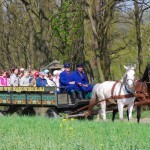 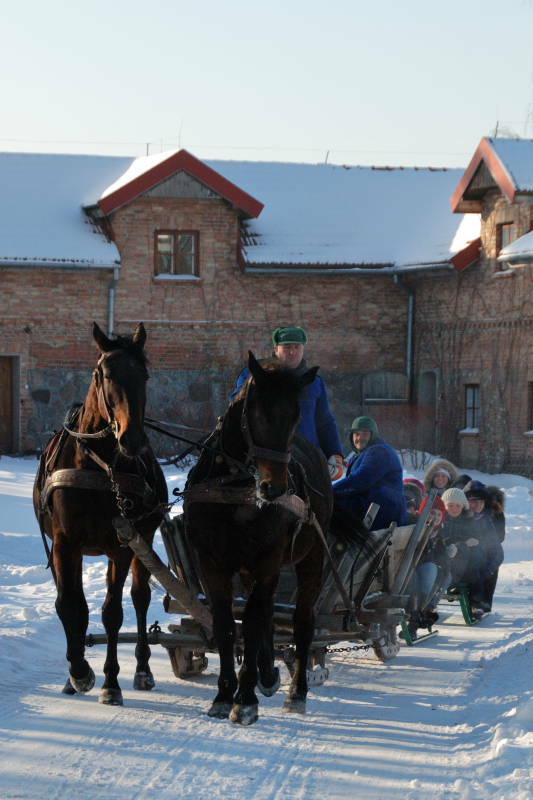 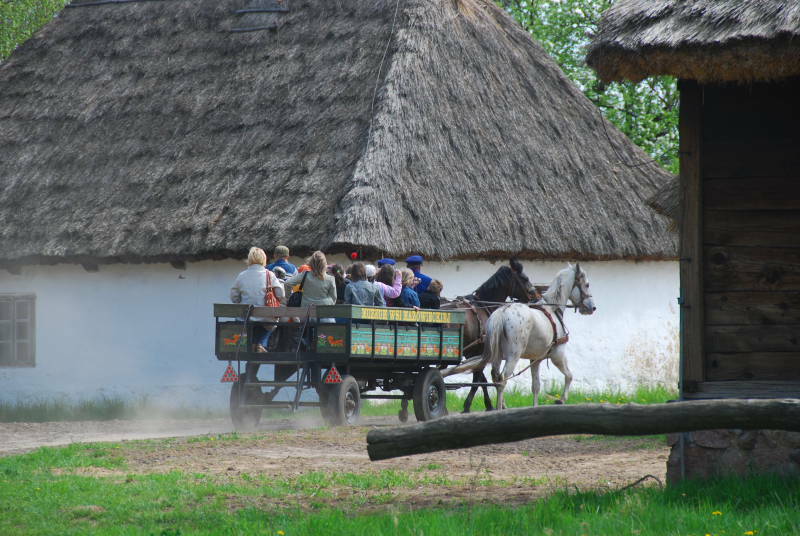 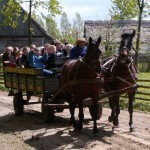 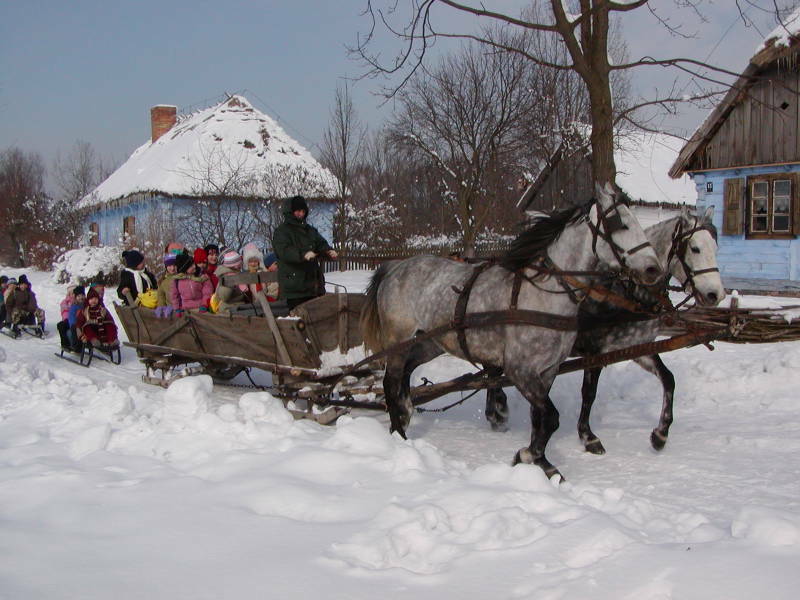 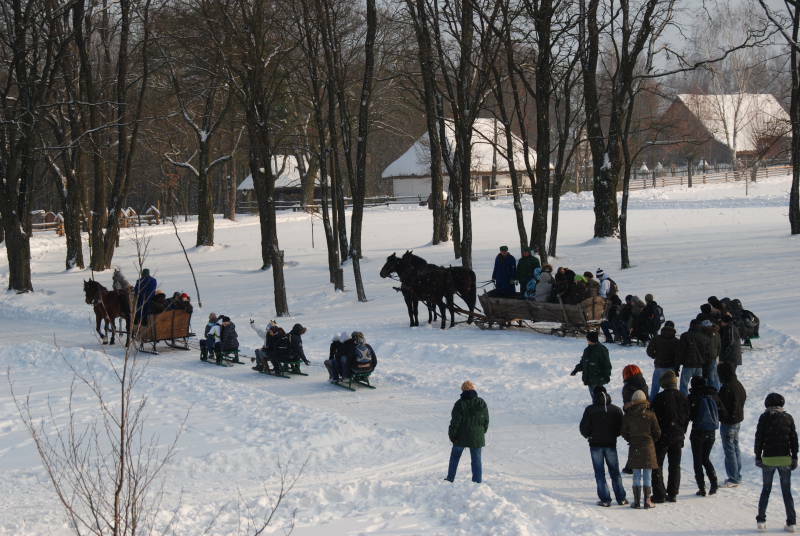 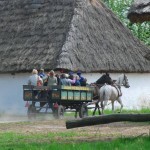 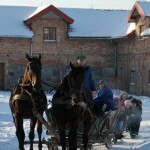 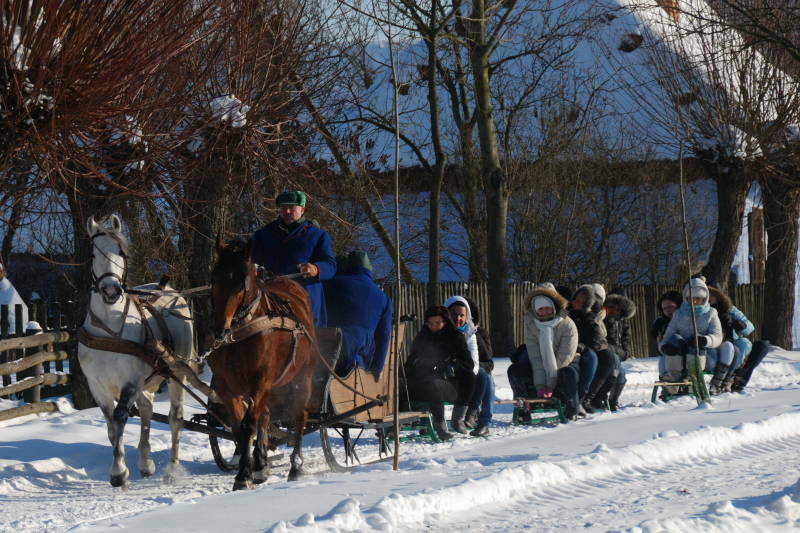 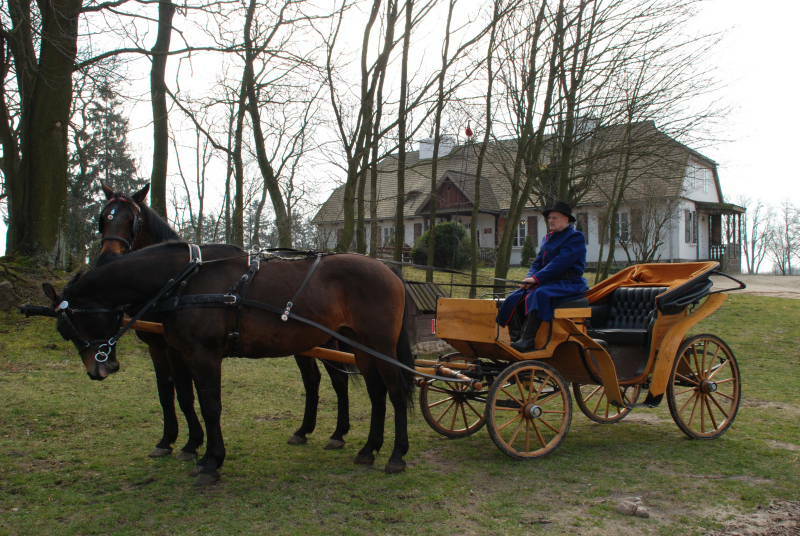 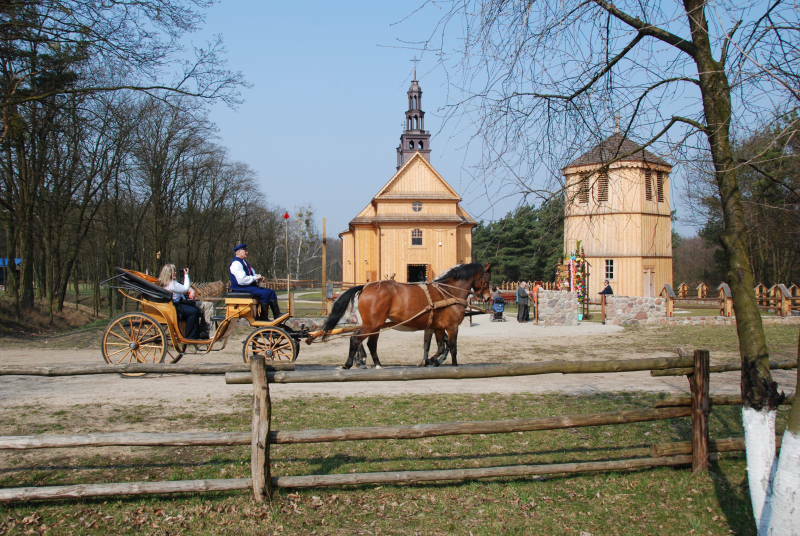 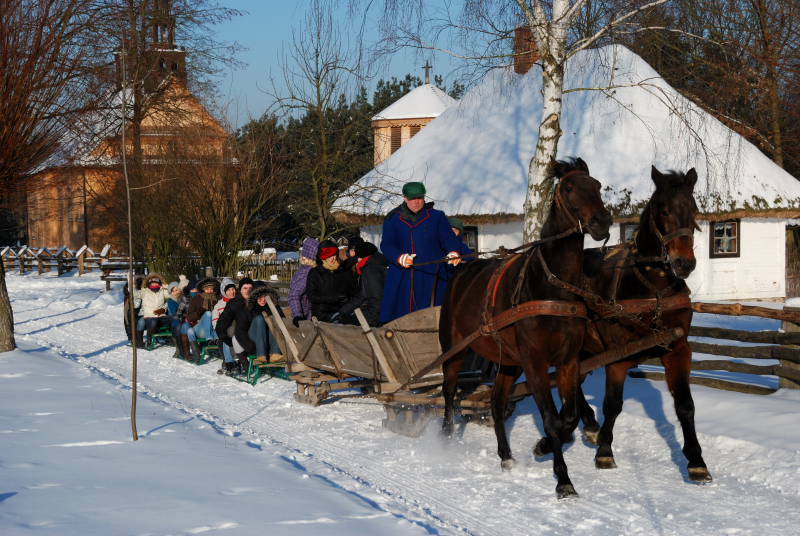 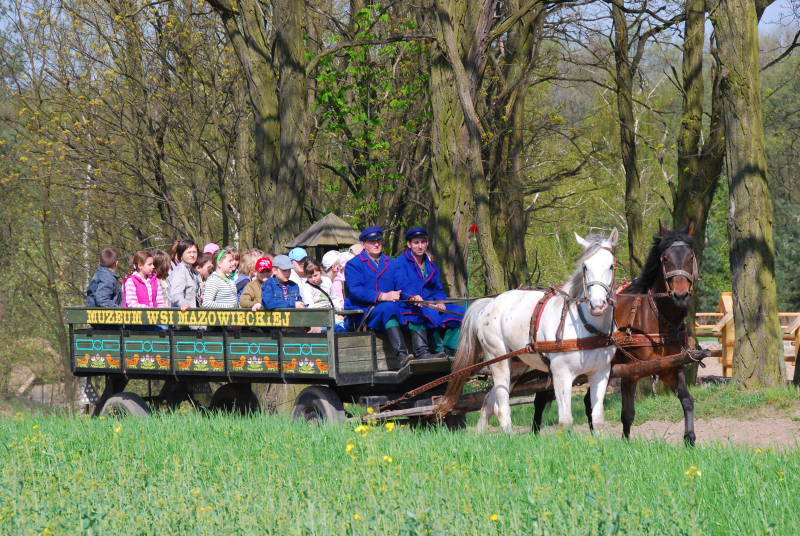 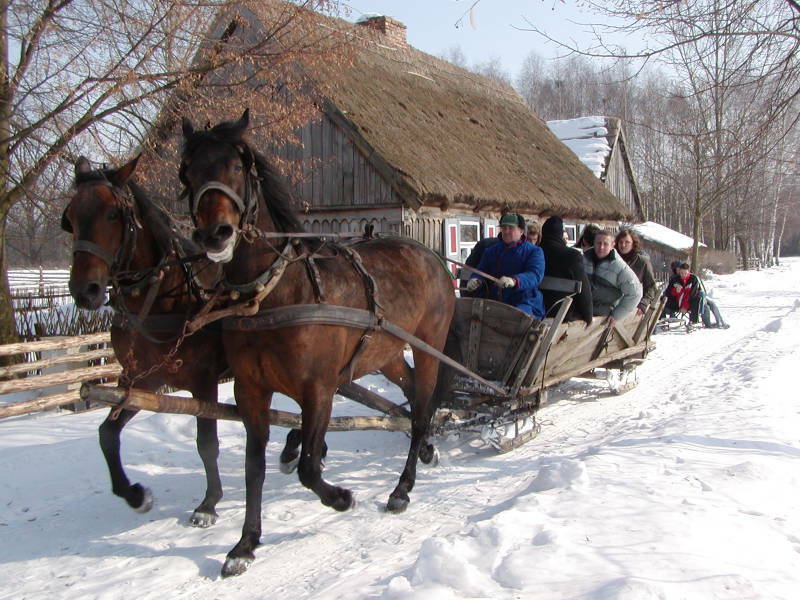 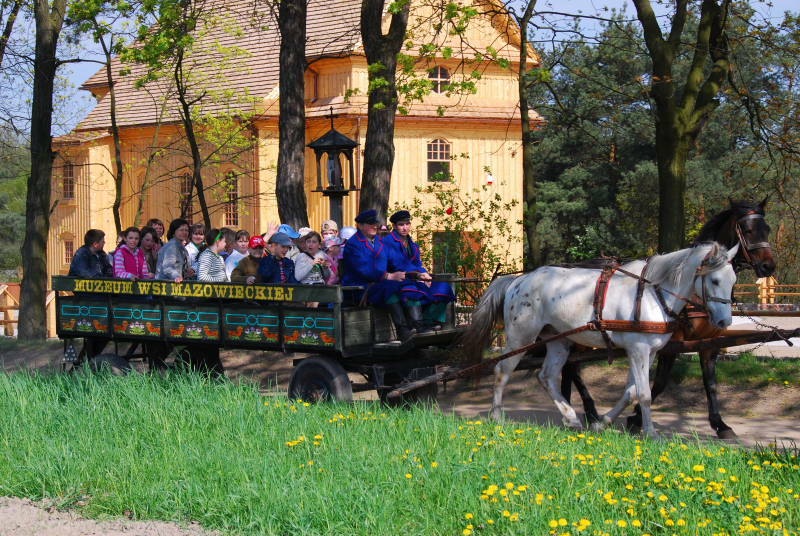 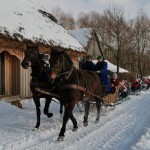 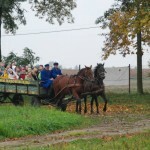 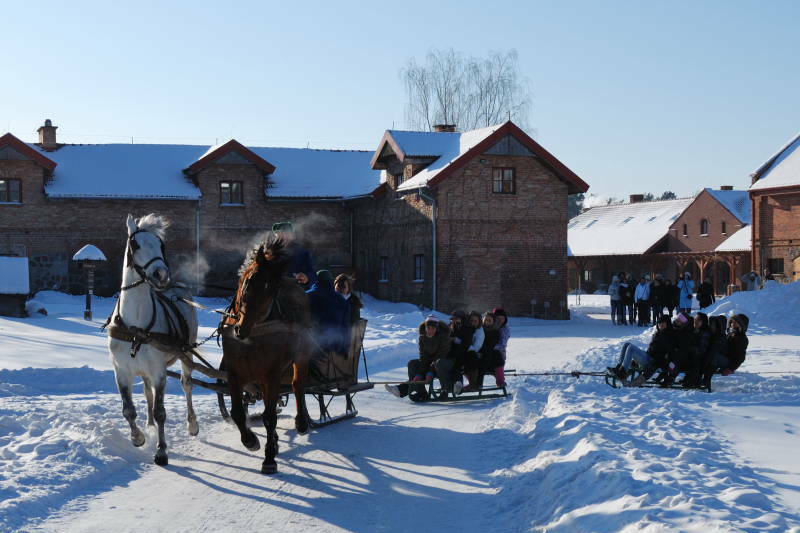 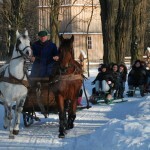 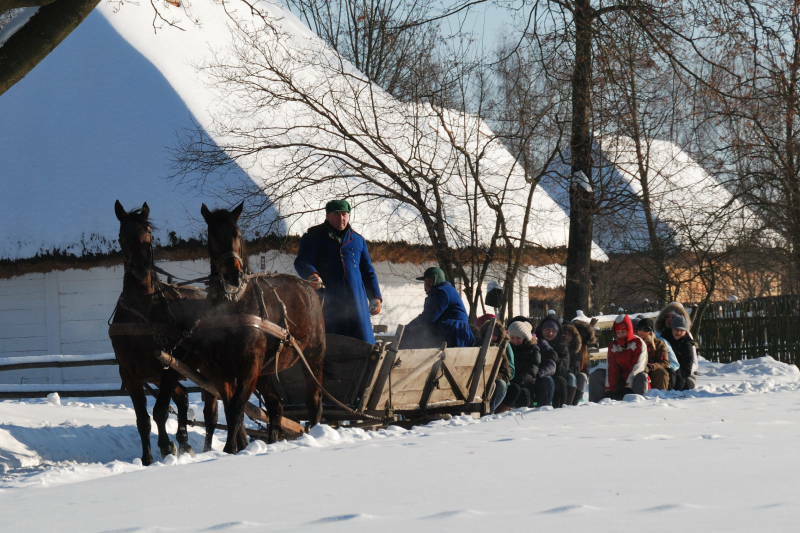 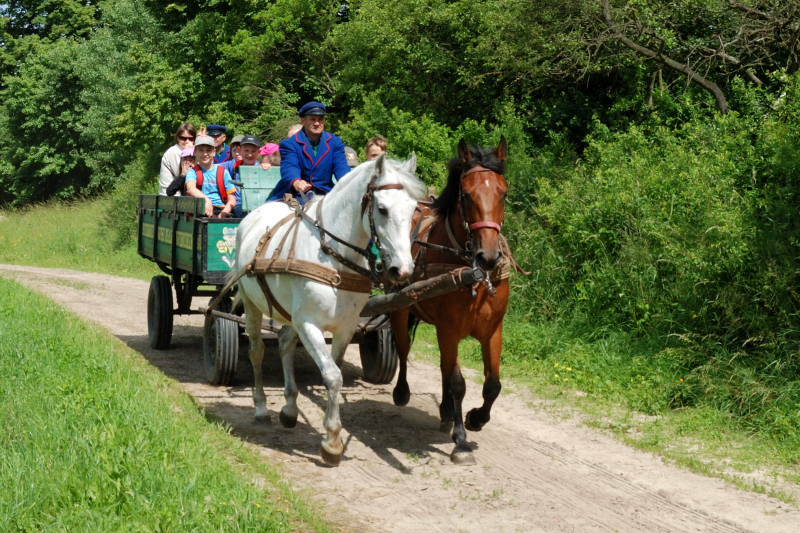 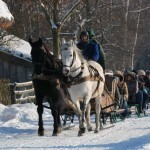 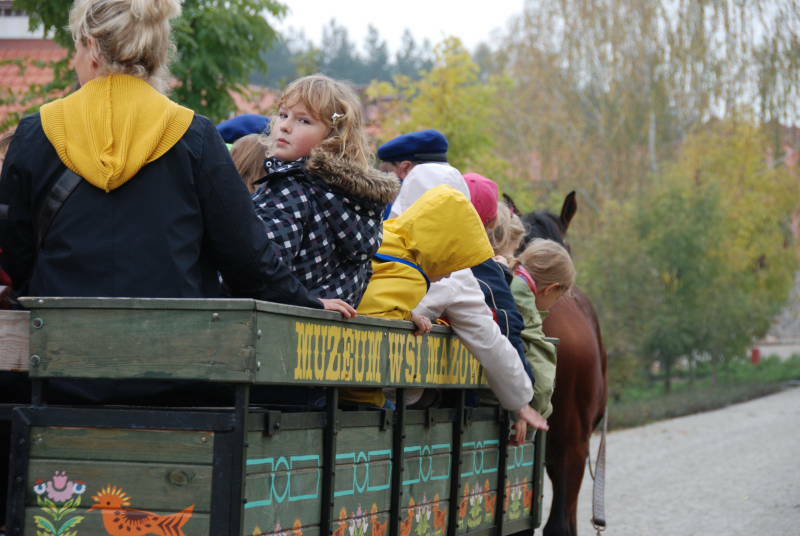 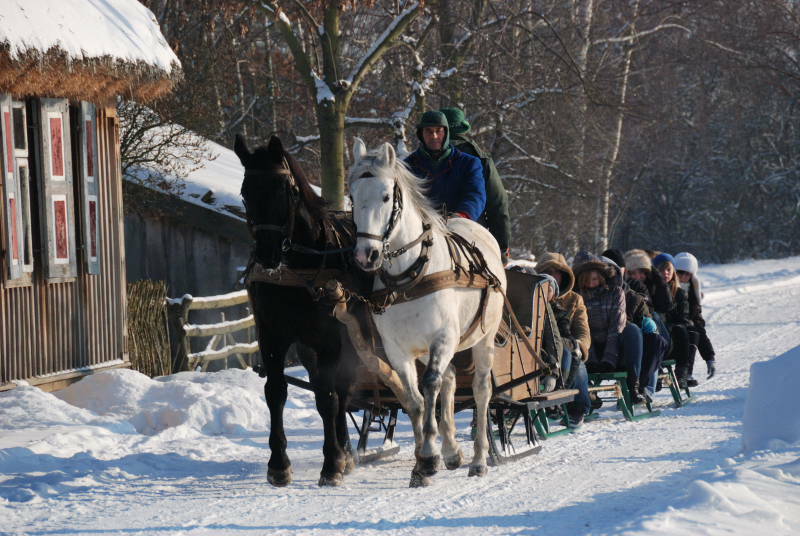 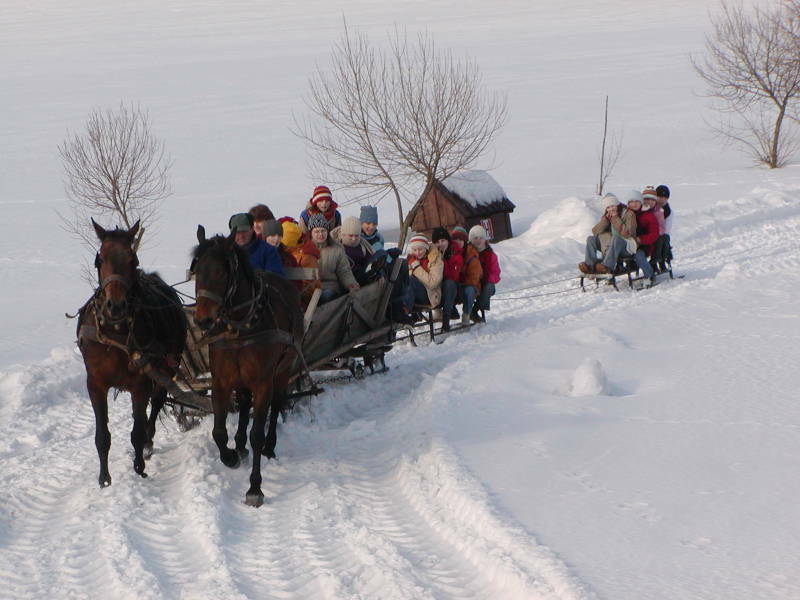 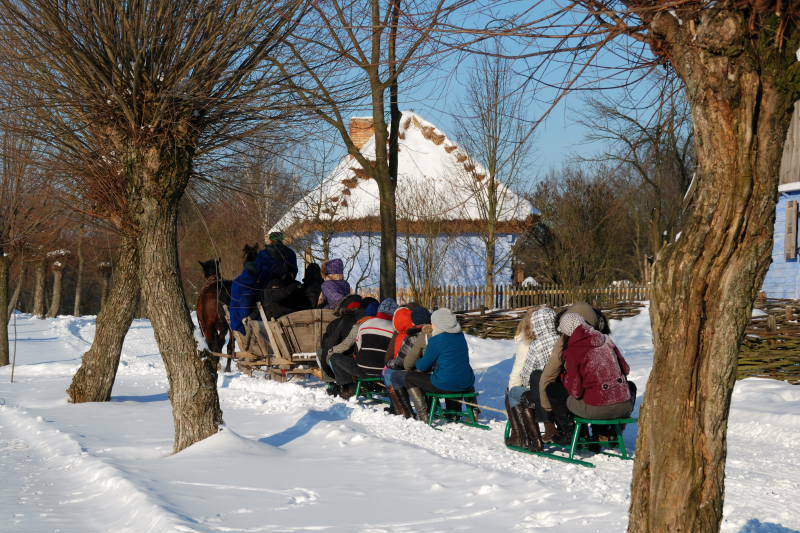 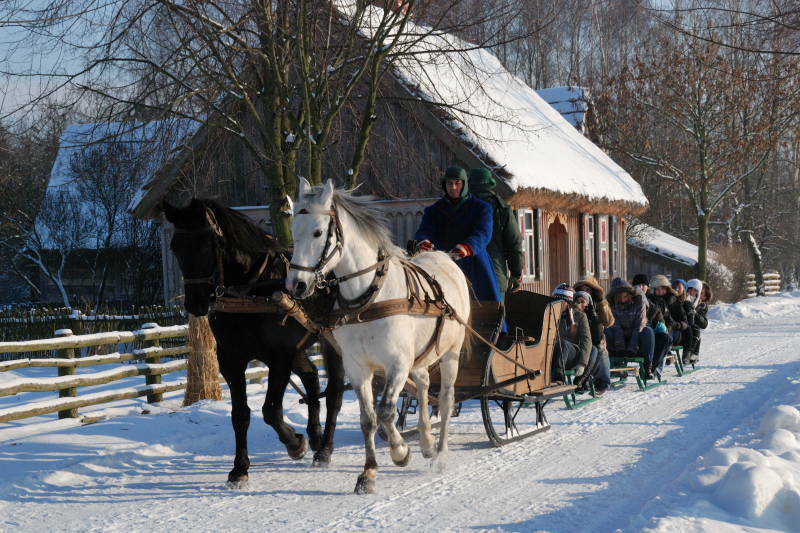 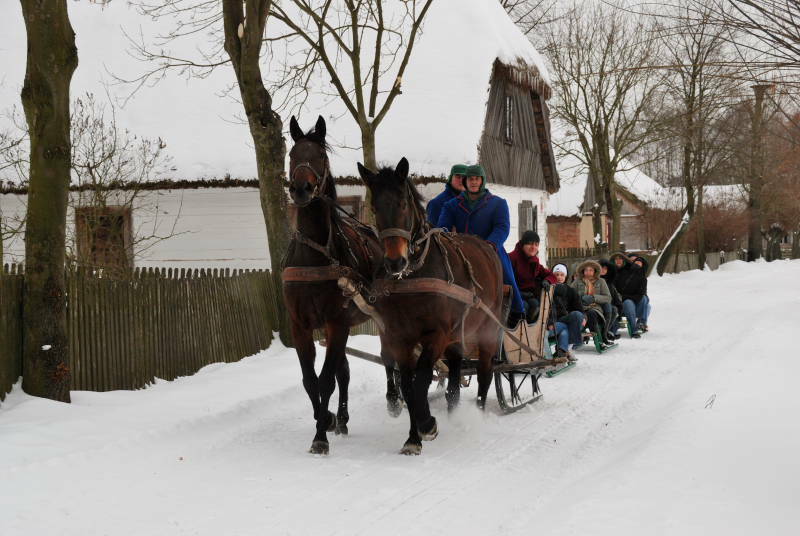 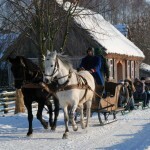 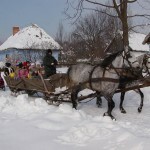 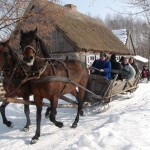 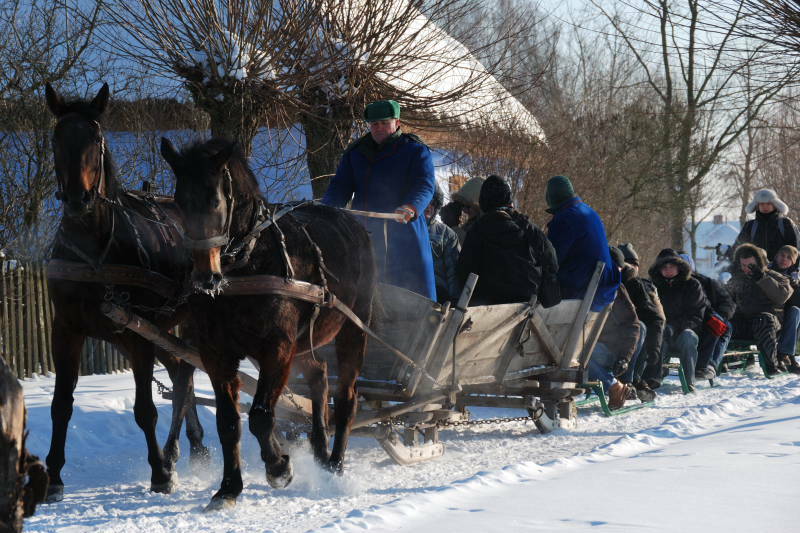 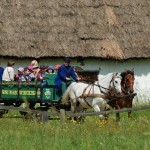 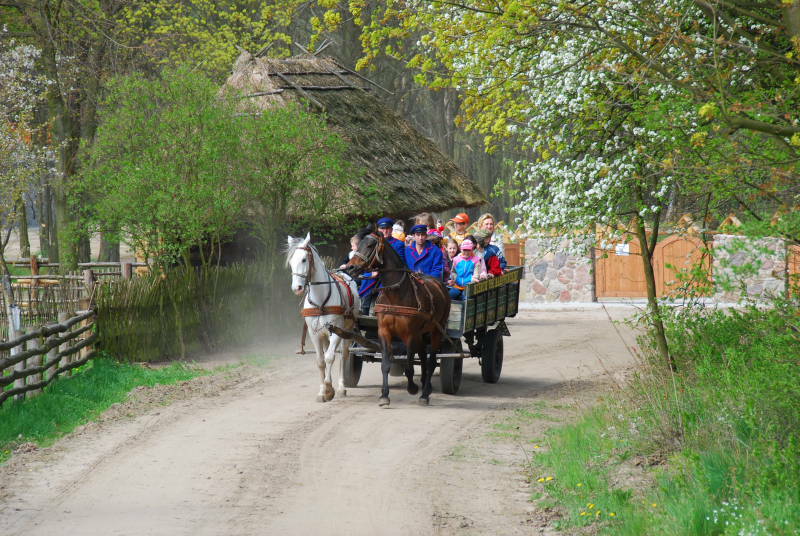 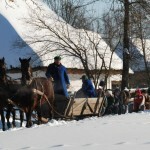 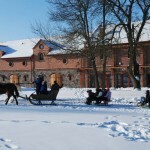 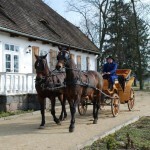 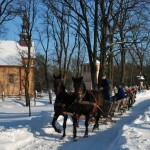 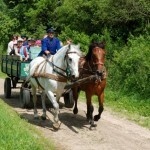 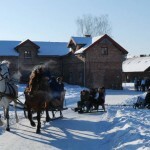 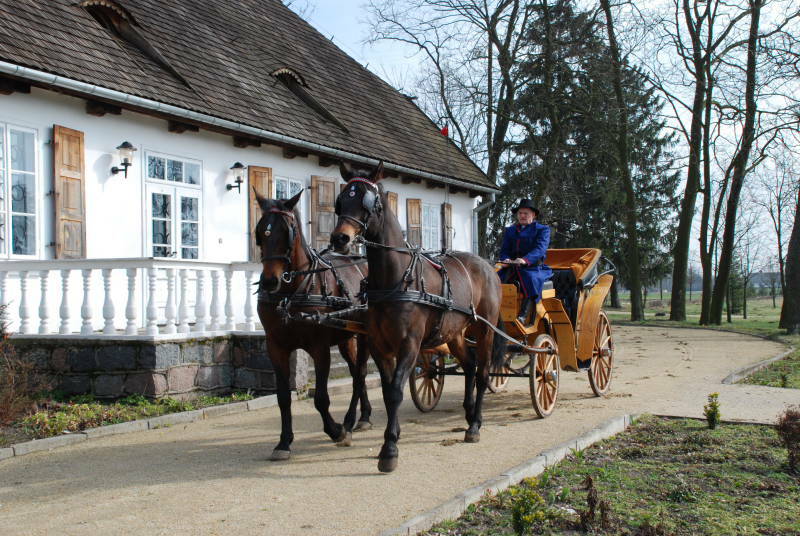 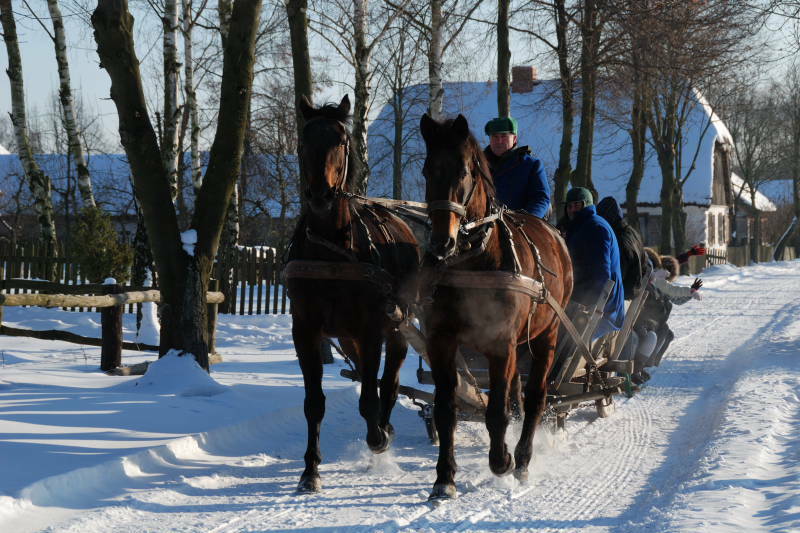 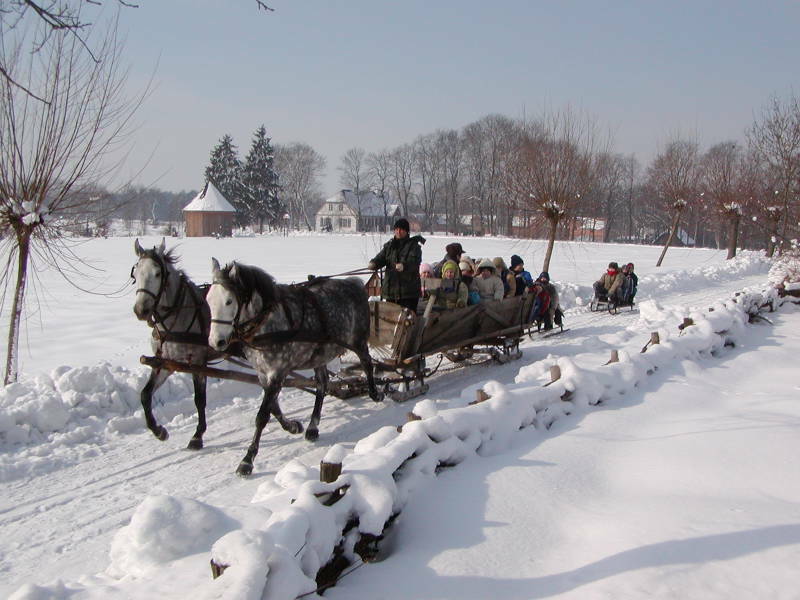 The Museum offers horse wagonette or wagon rides to individual tourists or organized groups visiting the ethnographic museum and sledges rides in winter. 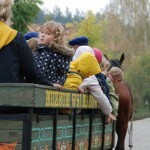 Ride time is about 15minutes. 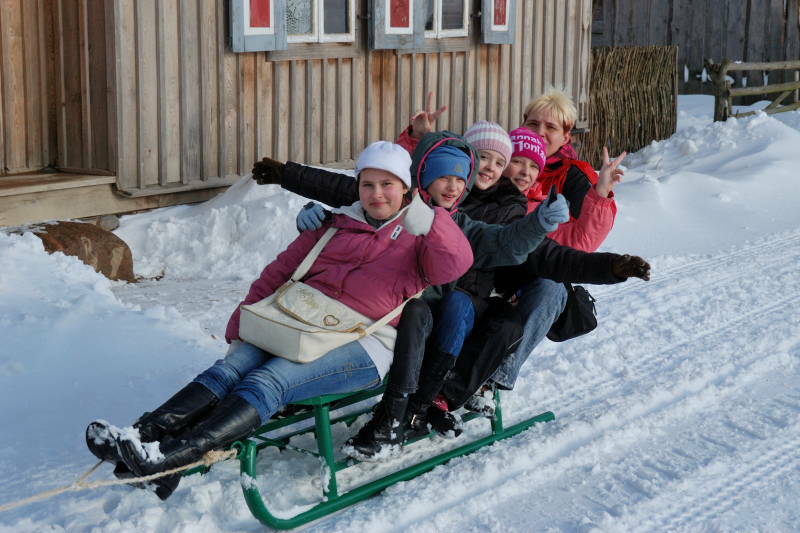 A wagonette can accommodate from 4 to 8 persons, sledges – 2-3 persons. 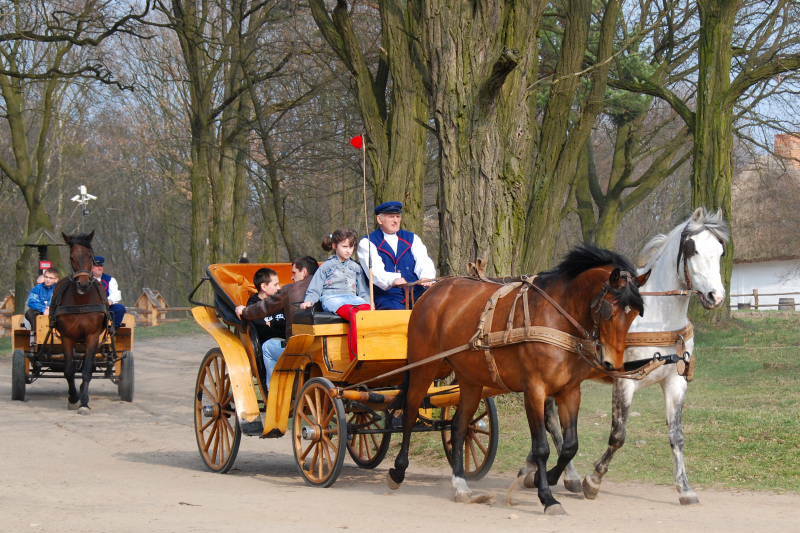 The vehicles are designed for transportation of individual tourists. 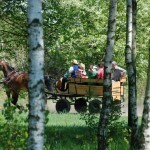 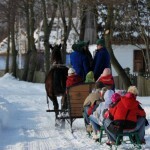 • The tickets for a wagonette or sledge ride might be bought in the Museum ticket offices or directly at the carter’s. 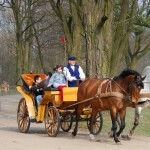 A wagon can accommodate approx. 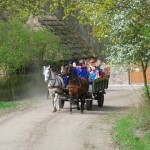 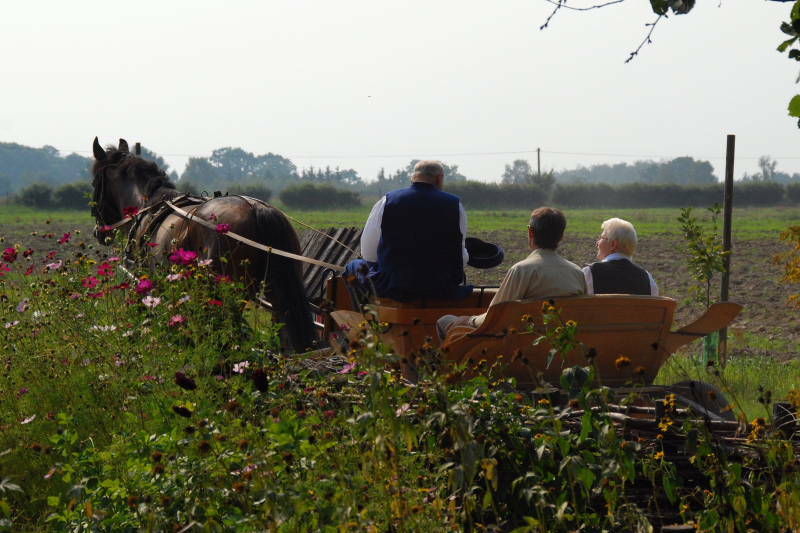 20 persons (depending on their age) and is designed for transportation of organised groups. 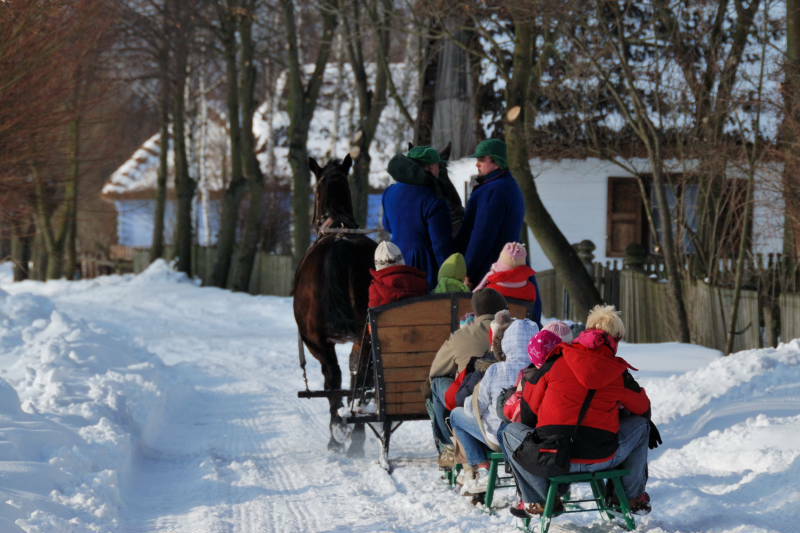 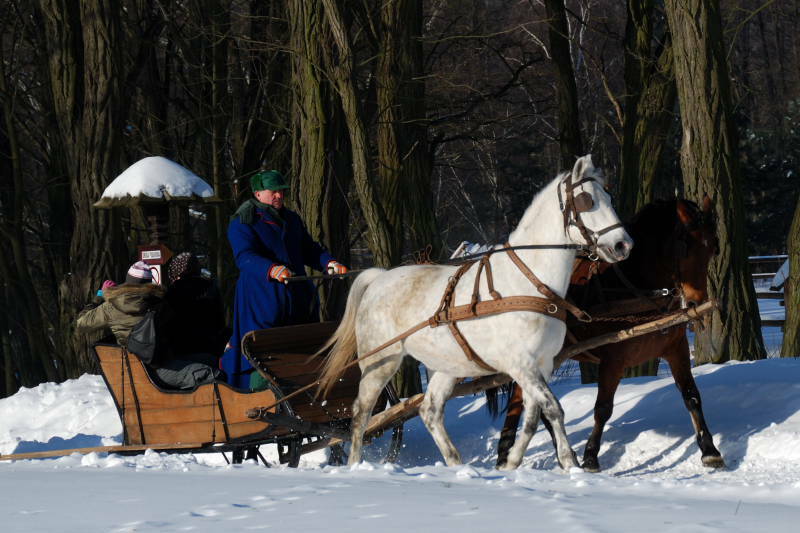 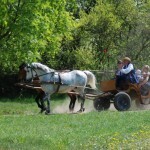 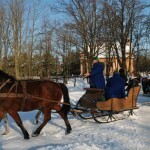 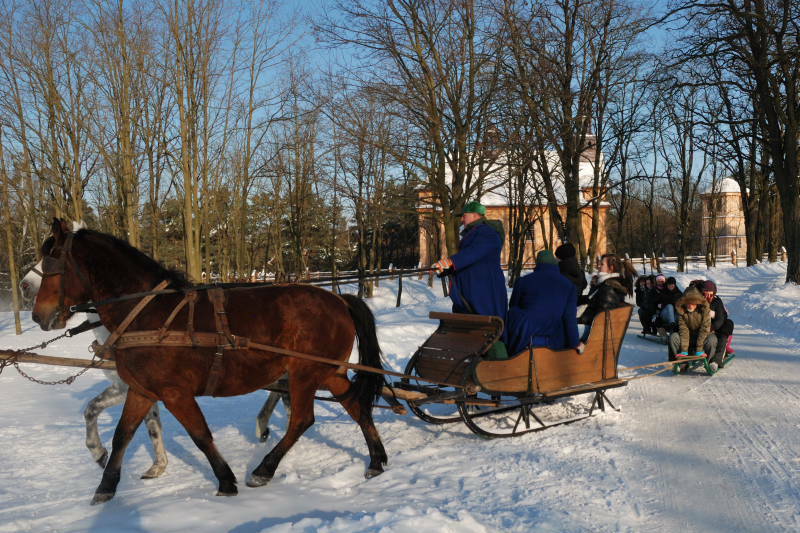 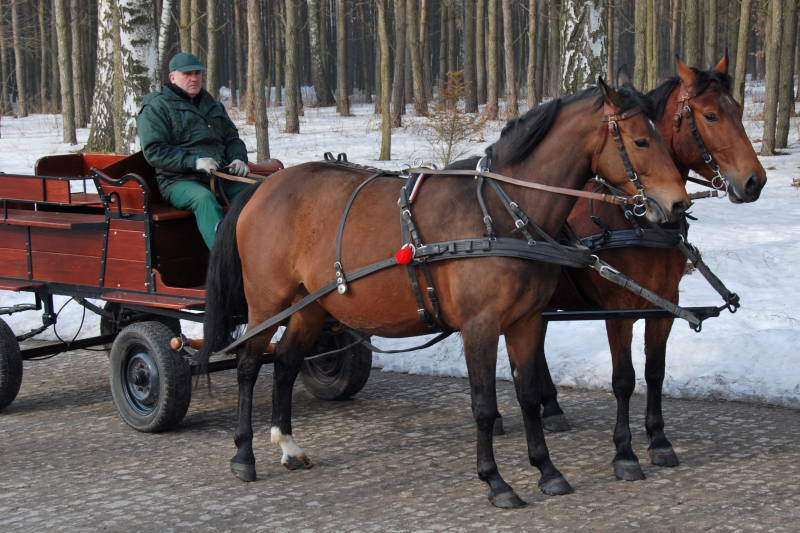 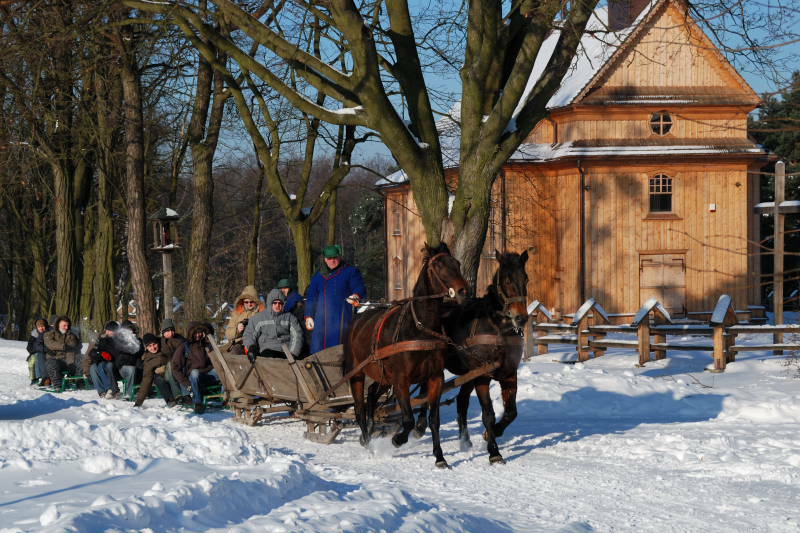 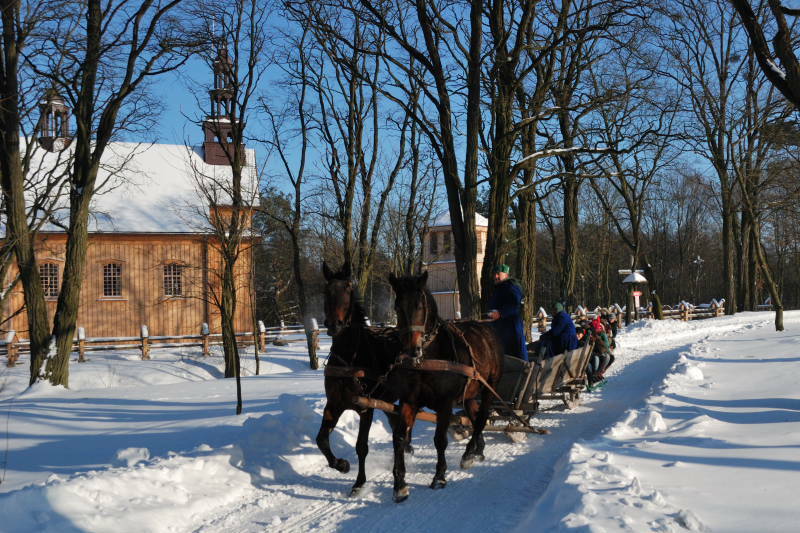 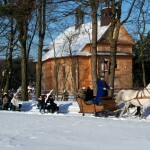 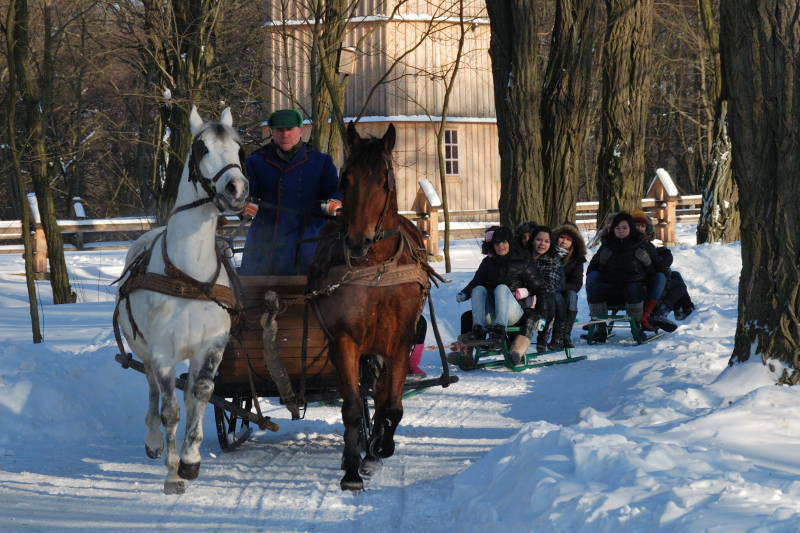 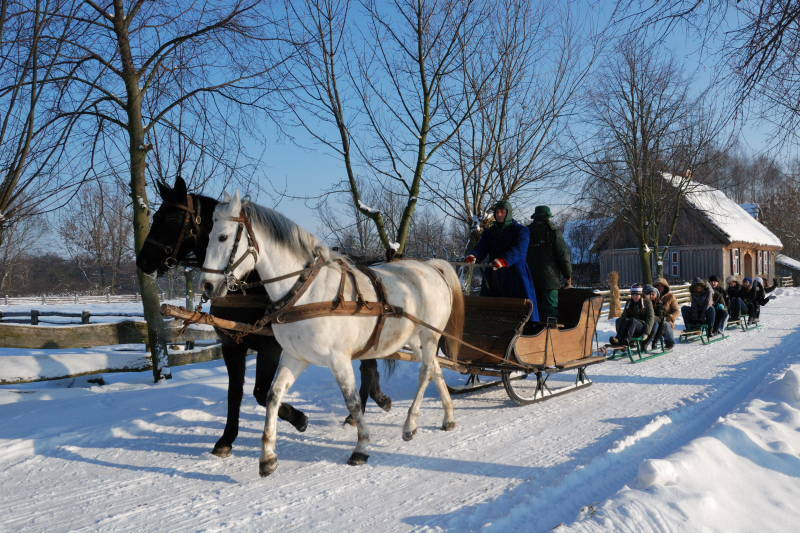 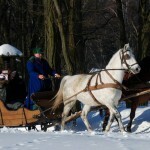 We organise sleigh ride in different types of sleighs and sledges depending on the number of persons. 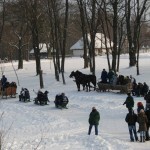 The smallest number of participants – 5 persons. 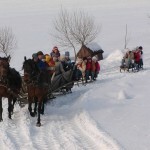 We request for prior notification on the phone because of changeable atmospheric conditions and thickness of snow layer. 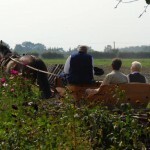 Ride takes place under supervision of an experienced instructor and in a suitably adjusted paddock. 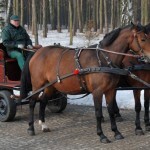 For safety reasons the horse is led on a lunge by an instructor. 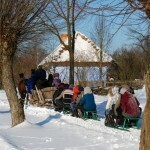 Ride time is about 5 minutes. 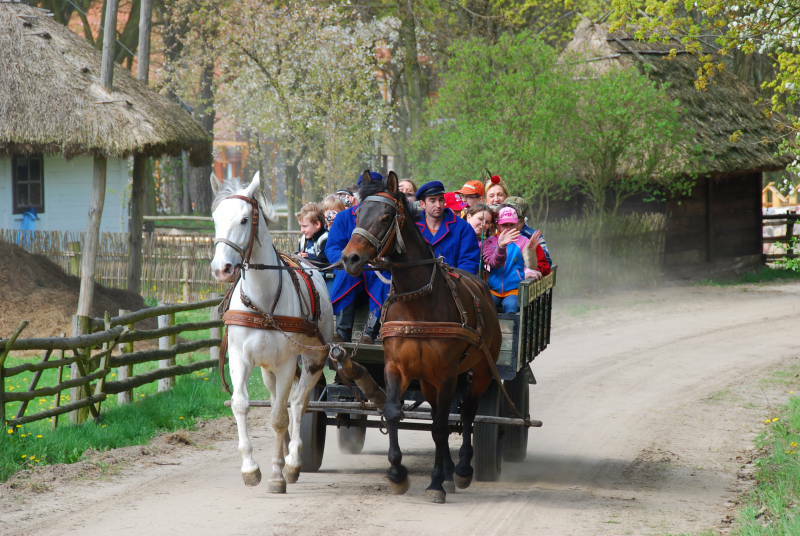 In case of organized groups time should be multiplied by a number of participants and appropriate amount of time should be designed for it.